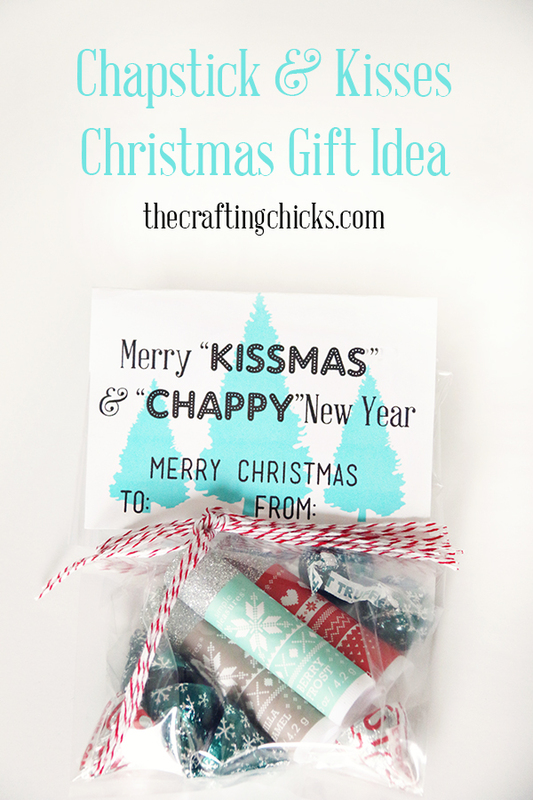 Chapstick & Kisses Christmas Gift Idea is an easy way to for little girls to give each friend a Christmas gift. 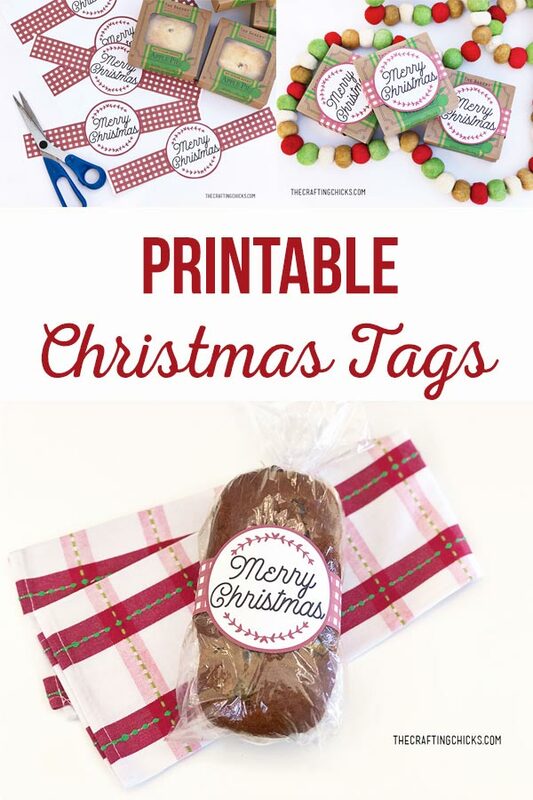 Just download the free gift tag. Every year my kids love to give little gifts to their friends. Now we don’t want to break the bank, but we want to show those little friend how much we love having them in our lives. 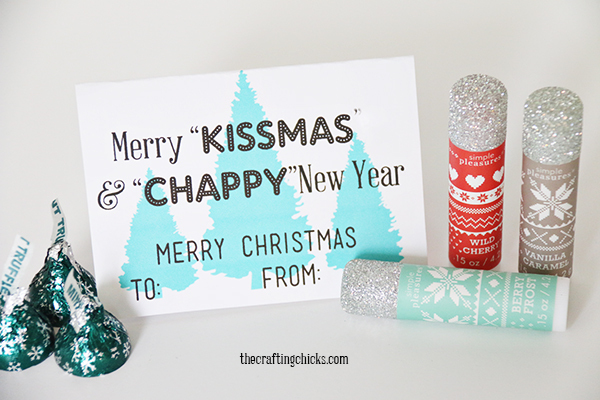 This year we decided to make up with cute Chapstick & Kisses Christmas Gift Idea using this free printable tag. 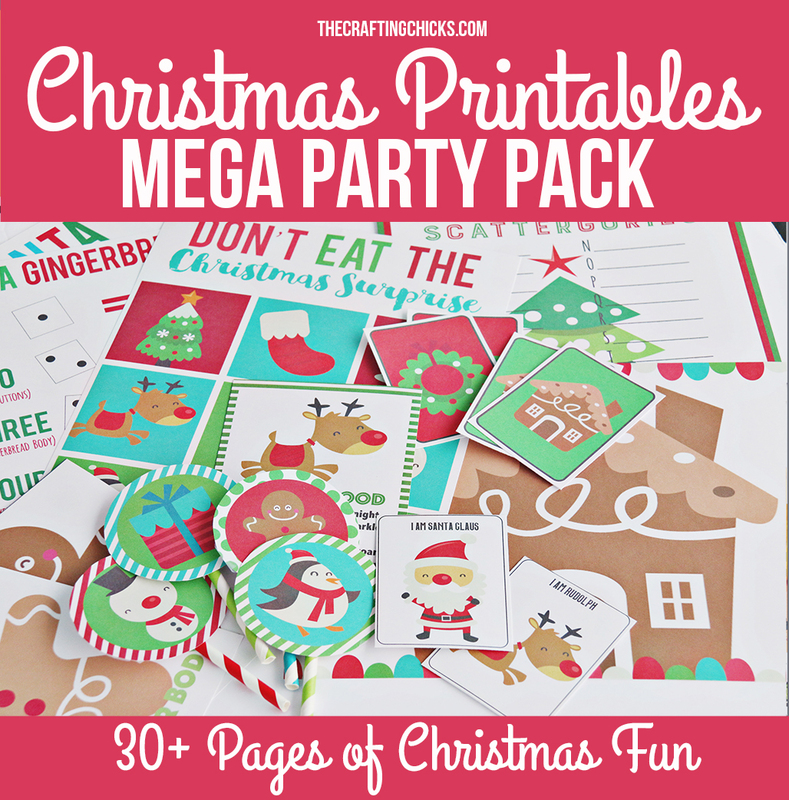 Printable download gift tag, see below. 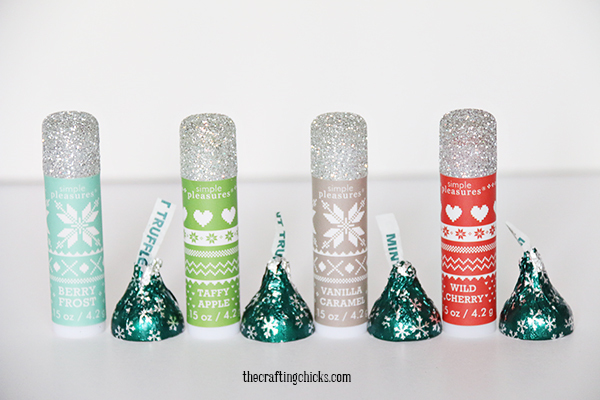 I found these sparkly topped chapsticks at Nordstrom Rack and fell in love and knew that I had to use these. I haven’t found them since, but have found some other fun holiday chapstick options on Amazon. 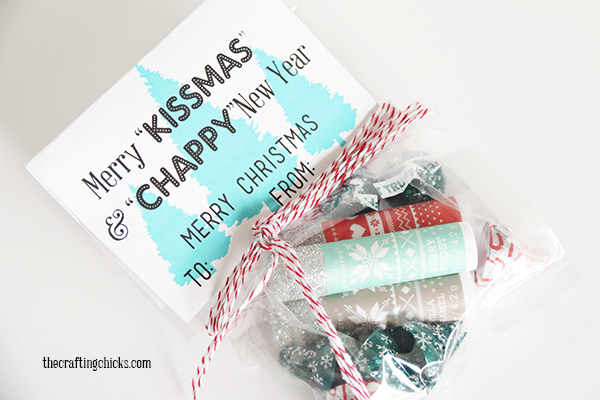 Throw the chapstick and Kisses’s inside the cellophane bags. Fold the gift tag in half and place over the bag. Then add a staple on each side of the tag to secure it to the bags. Add some fun Holiday Baker’s twine for a little more holiday spirit! 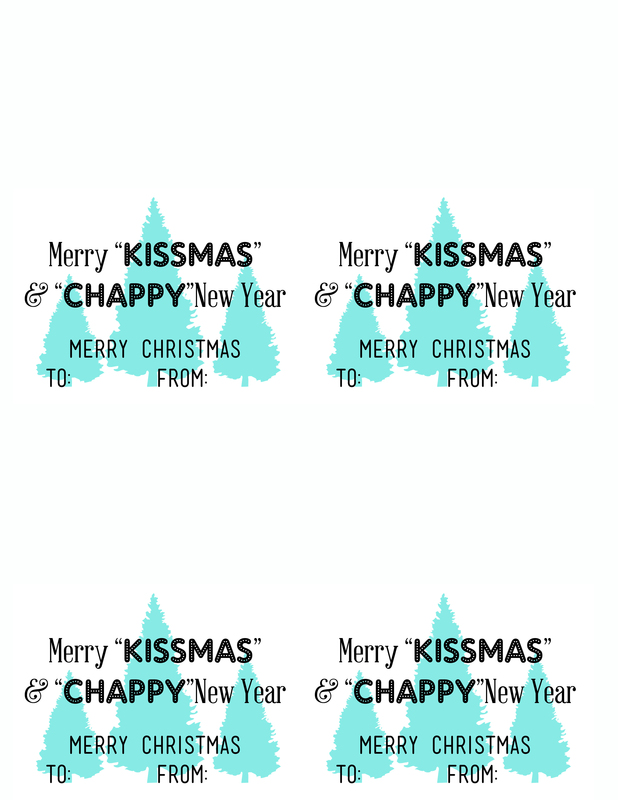 Here’s the Chapstick & Kisses Christmas Gift Tags. Gift Tags are for Personal Use Only Please. 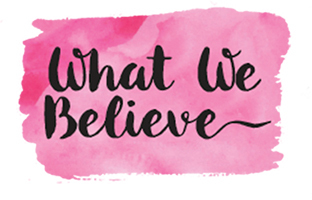 Copyright The Crafting Chicks, LLP.